Video conferencing is a primary driver of productivity and creativity in today's workplaces. We base over 50% of communication on facial expressions and body language. With conference calls, you lose that information. 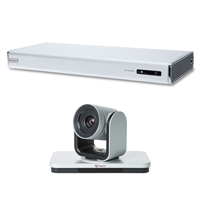 Video conferencing solutions let you see who you're talking with. For business, that means improved communication, collaboration, and office culture. Video conference meetings also help your bottom line. On average, a business that prioritizes video conferencing saves around 30% on travel costs. Bring external offices and remote workers into the conversation. Speak directly with clients while saving money. 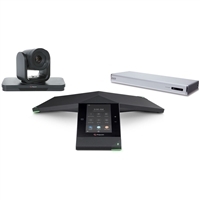 We sell video conferencing equipment for all sizes of business rooms, from large conference rooms to huddle rooms. 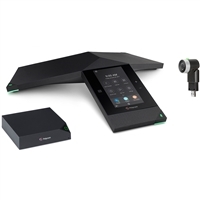 Video conferencing microphone options include microphone arrays and IP conference phones like Polycom Trio and Dolby Conference Phone. They're designed to capture voices in the round and suppress noise. 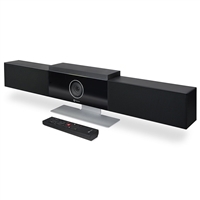 Business video cameras provide detailed HD video to pick out all the faces in the room. Huddle room video conferencing solutions make impromptu meetings better, work in confined spaces, and are easy to set up, take down, and move. Find video conferencing codecs from class-leading brands like Polycom, AVer, and Lifesize to control your on-premise system. 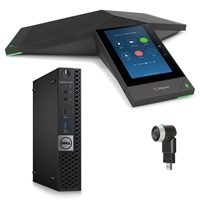 Shop for equipment to match cloud video conferencing solutions like BlueJeans or Zoom. 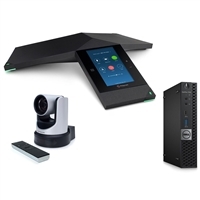 We stock video conferencing equipment that is certified by Microsoft for use with Skype for Business and Microsoft Teams. IP Phone Warehouse is an authorized online reseller of video conferencing equipment. 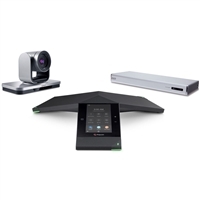 Are you confused about video conferencing? You're not alone! 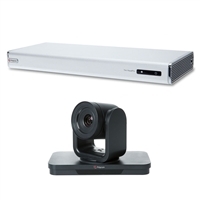 Our video conferencing experts are here to help with answers to frequently asked questions about video conferencing. What's a codec? What does VCaaS mean? Find answers to these questions and more at our video conferencing FAQ!